It wasn’t until a few years ago that I even knew what flavor grenadine was supposed to be. If I’d had to guess I might have gone with a hesitant cherry??? or whatever flavor the Michigan-made Faygo Red Pop I grew up with is supposed to be. It would have taken me numerous wrong guesses before I would have thought of pomegranate. If I knew more French or Spanish, in which the words for pomegranate are grenade and grenada, respectively, I might have guessed at the etymological clues. 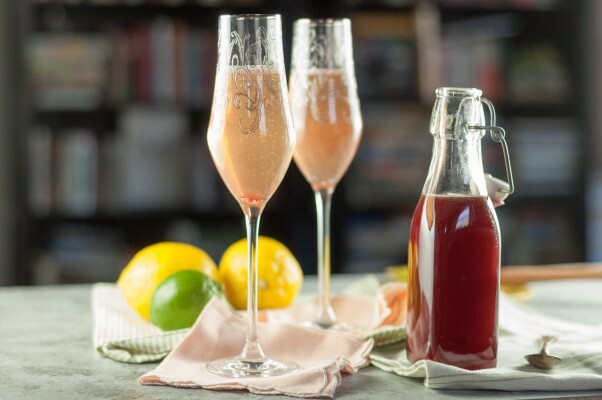 To be honest, even though I drank my share of cloying Shirley Temples at wedding receptions as a kid, I never particularly liked grenadine and didn’t think much about it until I started exploring the world of craft cocktails. 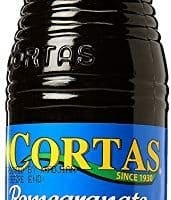 Then I discovered that so many syrups and other cocktail ingredients could easily be made better than the high fructose corn syrup and artificial flavor and color concoctions you can buy in the “mixers” aisle at an average liquor store. But I’ll be honest that I’ve never actually bothered with that because I picture myself and my kitchen covered with bright garnet-colored splatter that I just don’t wanna clean up. I just buy 100% pomegranate juice (such as Pom Wonderful) that’s in the refrigerated section of my grocery store. It should be pretty easy to find. Then all you need to do is combine equal parts pomegranate juice and sugar and stir over low heat until the sugar dissolves. 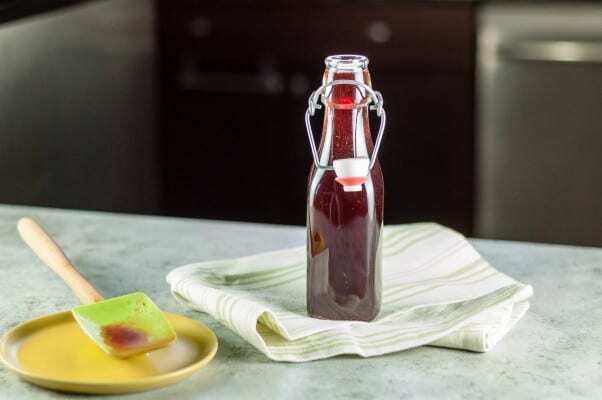 You want to avoid heating the pomegranate juice to a boil, not just because the evaporation will throw off your ratio of juice to sugar, but because you want to retain as much fresh pomegranate flavor as possible. Cooked pomegranate juice just isn’t the same. If you want to get fancy, and I tend to, you can add a little pomegranate molasses, which is a thick syrupy concentrated Middle Eastern pomegranate sauce, for extra pomegranate flavor. You could also add a tiny splash of orange blossom water for some aromatic floral notes. I find both of these at the Middle Eastern Bakery and Grocery in my neighborhood, but they’re available online as well. 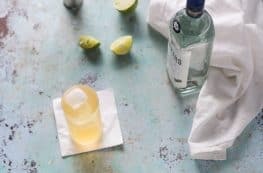 If you want to keep it around for more than a few weeks, it’s a good idea to add a splash of vodka or gin, which will act as a preservative and keep it fresh in the refrigerator for over a month. And really, that’s all there is to it. 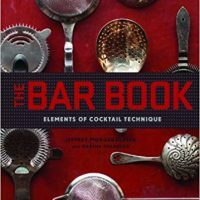 You can be making better Shirley Temples and Jack Roses and a world of tiki drinks and grenadine sodas in no time. Looking for other recipes for cocktail mixers? Try homemade tonic, orgeat, ginger ale, simple syrup, and brandied cherries. 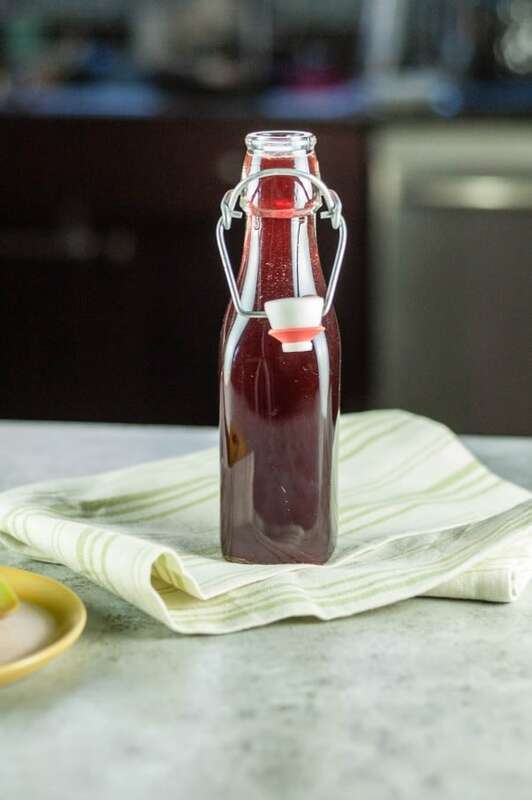 Making your own grenadine at home is easy. 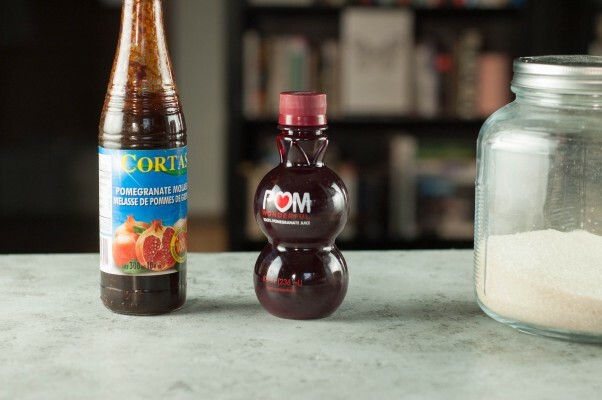 There are two essential ingredients (pomegranate juice and sugar), one recommended natural preservative (vodka), and two optional flavor enhancers (pomegranate molasses and orange flower water). 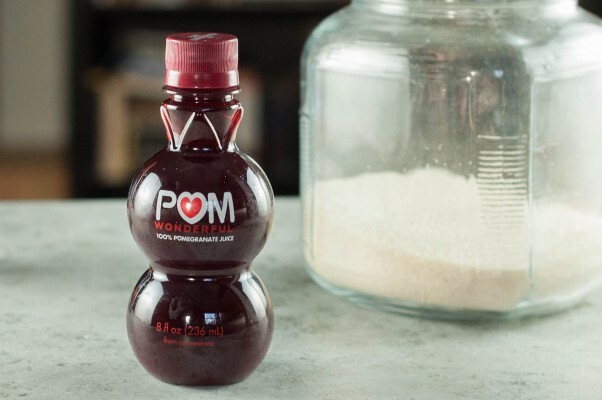 You can juice your own pomegranates if you like, or you can use a pre-made refrigerated pomegranate juice like Pom Wonderful. This makes a small batch that a household could reasonably get through before it goes bad. It easily scales up if you want more. I recommend weighing the sugar on a kitchen scale for more precise measurement. 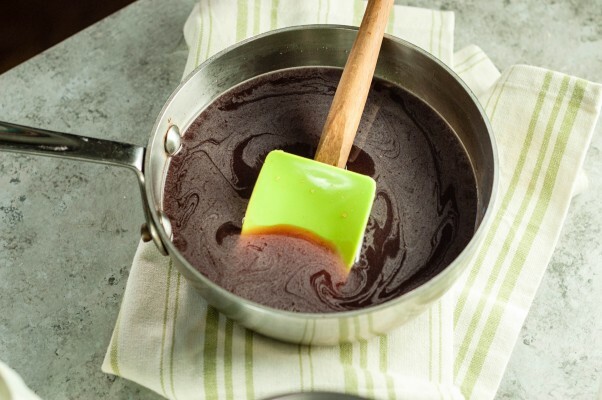 In a saucepan over low heat, combine the pomegranate juice, cane sugar, pomegranate molasses (if using) and orange flower water (if using), and stir until the sugar has dissolved. Remove from heat. Stir in the vodka (if using). Let cool to room temperature. Transfer to a bottle or jar and store in the refrigerator. HI! Great article and great site! Found you on FB. Let me know if you’d like to collaborate on anything. This looks like such a simple recipe. I still love Shirley Temples but I never thought about making them at home. I might need to now! It is simple. I hope you give it a try! I had a thought – to help preserve the freshness of the juice, what if you started with a 2:1 simple syrup. Ie, 8oz sugar, and 4oz of juice, and then add the extra 4oz right at the end, after it’s all dissolved? Do you think that would work? I’ve never made my own grenadine. Awesome tips and great recipes! Must try. Who knew that one could make their own grenadine? Great article. I never thought to make my own syrup for cocktails. This is so much healthier than the artificial grenadine. Take comfort in the fact that I just learnt from you what Grenadines were!!!! Who’d have thunk? Hmm… GORGEOUS pictures btw!!!! LOVE this, and can’t wait to try it myself! I came upon your recipe after looking at the ingredients for Grenadine at a liquor store. I was not pleased with any of them. One famous brand has no pomegranate at all! There is something confusing about this recipe. 8 ounces of sugar, whether by volume or weight, is nowhere close to the stated 425 grams. 425 grams is almost 16 ounces. I’m going to have to cross-check your otherwise intriguing recipe against other Grenadine Syrup recipes. You’re right–there’s an error. Should be 200 grams of sugar. I’ll correct it.